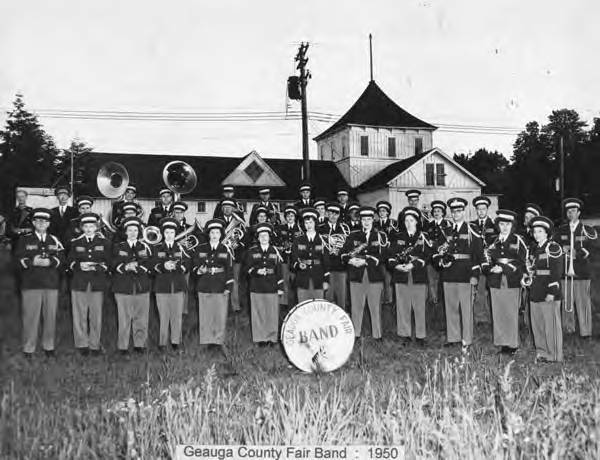 The Great Geauga County Fair Band, founded in 1938, is Ohio's only all-volunteer county fair band. 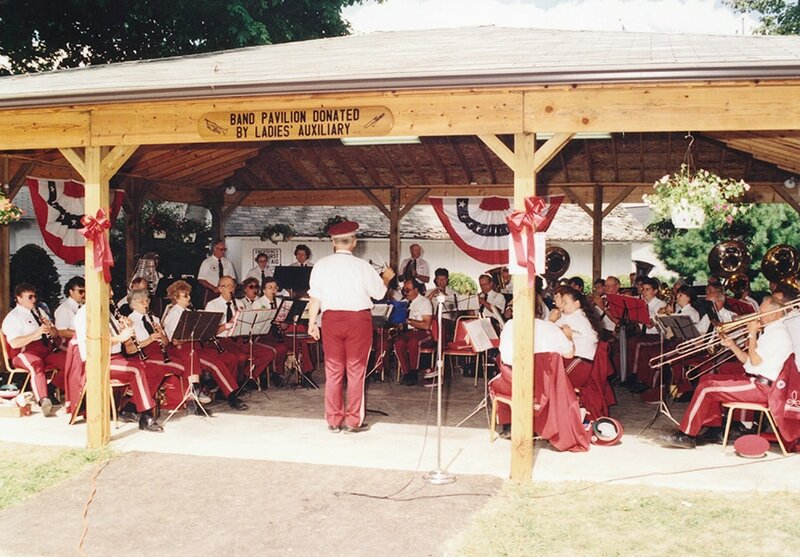 The band entertains audiences at parades, concerts in the park, and various community events. Twice daily concerts at The Great Geauga County Fair include marches, show tunes, patriotic favorites and diverse musical styles and compositions. Band membership is open to anyone 15 years of age and older. Practice begins in April and the Band plays at festivals, parades, homecomings and other events during the summer and continues through the Fair each year. A collection of trophies for its many appearances is housed at the Fairgrounds. Come hear the band practice Tuesday evenings, weather permitting, 7:30 p.m. at the Vernon Howard Band Pavilion on the South end of the fairgrounds. Bring a lawn chair, relax and enjoy the music. Interested in Joining the Fair Band? The Band was first organized by Cliff Rossiter after the 1936 Fair, under the direction of Azro Cheney, with high school band members and other musicians from around the county. The forerunner and inspiration was an All-County high school band, under the direction of Raymond Dehnbostle, which played during the 1930s until 1936. 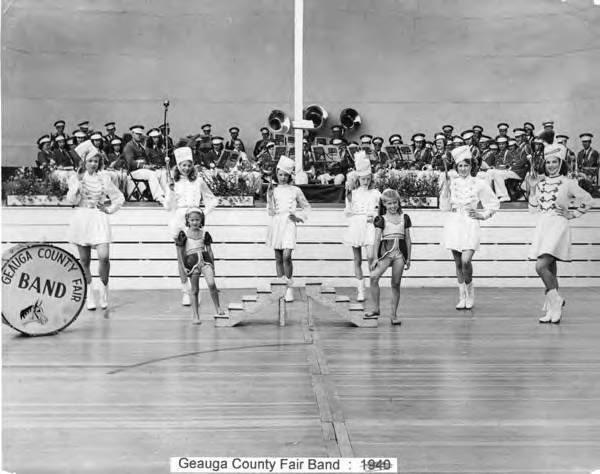 The Band became known as the official Geauga County Fair Band and played at the Geauga County Fair in 1938 and has played at every fair since that time. The Band still boasts one of its original charter members as active members, Barbara Ricca of Newbury - 78 years - Trumpet. The band has had members from seven counties in northeast Ohio: Geauga, Lake, Portage, Ashtabula, Trumbull, Cuyahoga, Lorain, plus several other Ohio counties and states and has played in many area communities. Over the years, more than one hundred members have participated in the band, including many members of area families, and in many ways the Fair Band has become like one large extended family. Today, the Band has about forty to fifty active members. Down to lower Basin Street. When the band goes marching by. As the band goes marching by. "The Geauga County Fair Band is a unique organization. 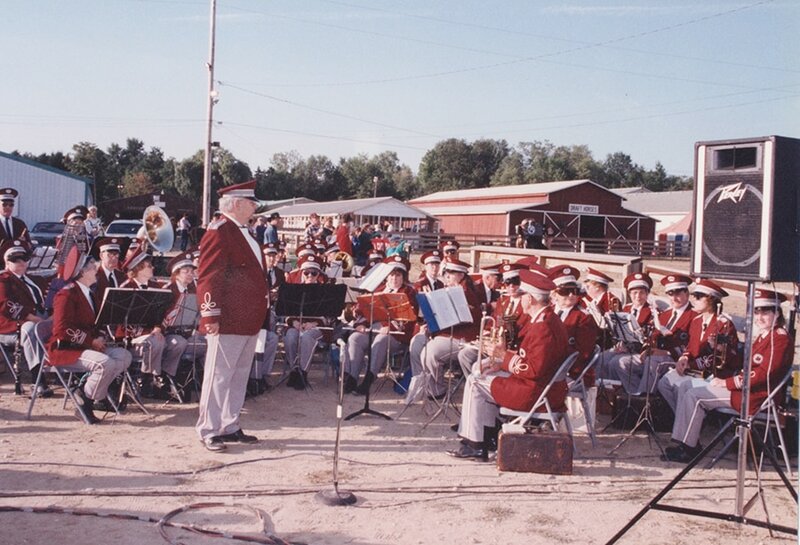 We have played at every Great Geauga County Fair since 1938. All of our members, past and present, are proud to be part of the history of the Great Geauga County Fair." from charter member Vernon Howard's "History of the Geauga County Fair Band"